This week a leading highway safety organization is making a special effort to examine a feature designed to save lives in a catastrophic commercial truck crash. The effort is necessary as this feature is often found lacking. From August 27 to August 31, 2018, the Commercial Vehicle Safety Alliance is coordinating the effort of law enforcement in each U.S. state to capture data on truck underride guards. Underride guards are the steel structures on the back of trailers hauled by commercial truckers. In rear collisions, underride guards are supposed to stop approaching vehicles from sliding underneath the trailer, thereby limiting injuries or preventing fatalities. The rear-impact trailer guard data will be collected during normal, routine commercial truck inspections conducted by law enforcement officials. Why is this CVSA “Rear Impact Guard Check” initiative necessary? While tractor-trailer underride guards are a good idea to protect occupants of smaller cars in truck crashes, they don’t always work properly. A 1996 federal law requires most commercial trailers be equipped with rear underride guards. Many safety advocates argue that it’s time to update the law to make the underride guard specifications stronger. Congress acted on those concerns with a bipartisan bill introduced in the Senate in December 2017. Called the “Stop Underrides Act of 2017,” the bill enhances minimum performance standards of commercial truck rear underride guards. Underride is the term used to describe a crash when a car slides under a commercial trailer. It also requires most large commercial trucks to have front and side underride guards. The Insurance Institute for Highway Safety has been a proponent of side underride guards for some time. These guards protect smaller vehicles from sliding under a trailer from the side. Previous IIHS research determined that side underride guards would reduce the risk of injury in 75 percent of underride crashes that typically would result in serious injury or the death of motor vehicle occupants. 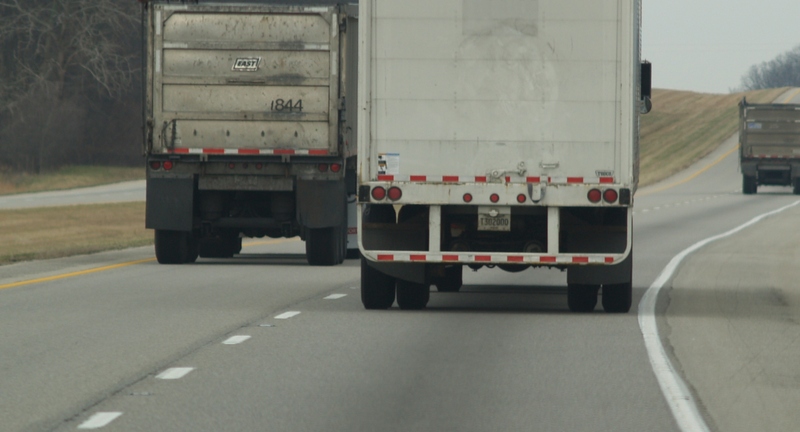 Proponents of the new underride guard legislation note that between 1994 and 2015, nearly 4,300 people have died in truck crashes when a vehicle slid under the trailer. This type of accident occurs, for example, when a trucker, not paying attention to changing road conditions ahead, stops suddenly. The legislation would not only strengthen the standards of truck underride guards to offer more protection to other vehicles, it would require underride guards to be included in annual truck inspections. Over time truck underride guards may rust and weaken. Since they currently do not require regular review, this commercial truck defect may be overlooked or even ignored by truck drivers, truck mechanics, and trucking companies. The failure to fix rusted, worn out underride guards may lead to an avoidable death or deaths in a big rig crash. Unfortunately, the legislation to improve truck underride guards has stalled. This follows a National Highway Safety Traffic Administration rule to revamp truck underride guards proposed in 2015 that went nowhere. One possible reason for the inaction is opposition by trucking concerns, which face higher costs with any underride guard updates. Properly built and maintained truck underride guards can save lives. Those who ignore their upkeep or installation – or fail to take other prudent safety measures – may be responsible for a fatal trucking accident. If you were seriously injured or had a loved one die in a crash involving a commercial truck, speak with a truck accident lawyer about pursuing your legal rights.